A single piece design, with flow and return connections cross linked through the opposite rail, without mixing the flow and return water. They have a smaller “footprint” then conventional manifolds, in depth and width and can be fitted horizontally or vertically. Commonly used between studs in partition walls. 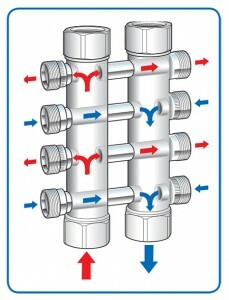 Radiator pipes can be connected to the manifold in matching pairs for simplicity and time-saving during installation. Primary pipes can be connected from opposing or same ends to suit on site pipework. Also available are ball valves, fittings and Monoblocco pipe connectors to accommodate a wide range of pipe types and sizes. The footprint (including depth) is less than a conventional two bar design. It is achieved by cross linking the flow and return, with the flow connection passing through the return bar, without mixing the water, and vice versa. It presents the pair of flow and return connections per radiator side by side, allowing simple, quick and easy connection per radiator. They are designed to fit inside an internal partition wall in a new house build. 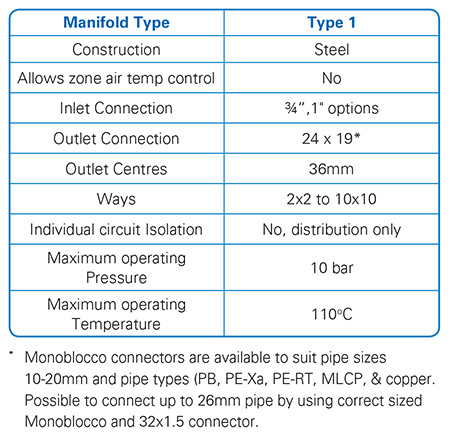 The manifold, with no moving parts and the innovative, proven ‘no-leak’ Monoblocco connection system, is hidden behind the plasterboard. 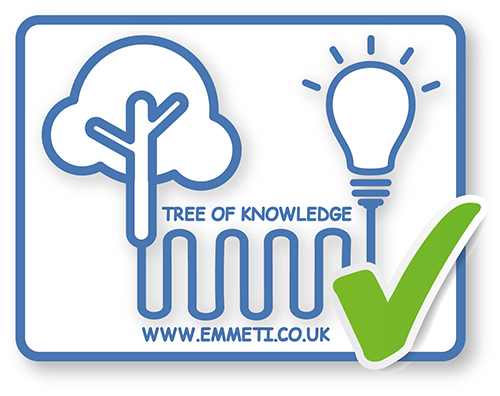 As part of the extensive Emmeti range of point to point heating manifolds, it eliminates the use of all connectors like tees and elbows between the manifold connection and the radiator. How can I tell which side of the flow or return each outlet is connected too?